Robert Louis Stevenson was not only a gifted writer, he was also an indefatigable traveller. His thirst for adventure was formed by his boyhood visits to remote Scottish lighthouses, and he spent much of his life fleeing the rigours of cold climes and social orthodoxy. Along the way he travelled through the Cevennes with a donkey, booked passage to and across America, and finally famously settled in Samoa in the South Pacific. 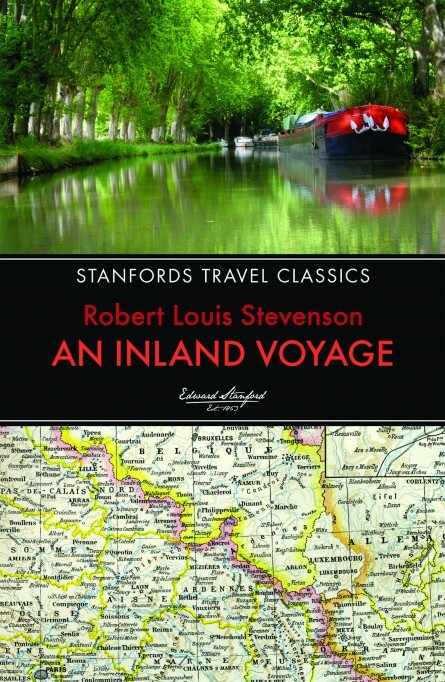 The canoing trip through Belgium and northern France that Stevenson describes in An Inland Voyage was taken in 1876, when the author was 26 years old. Stevenson and his companion, Sir Walter Grindlay Simpson, each had a “kayak”-style wooden canoe, with a deck and rigged with a sail. Starting in Belgium and then travelling downriver in France from Maubeuge (near Mons) to Pontoise on the outskirts of Paris, the book paints a charming picture of western Europe at a more innocent time. Size 198 x 129mm / 7 ¾” x 5”. Extent 128 pages.